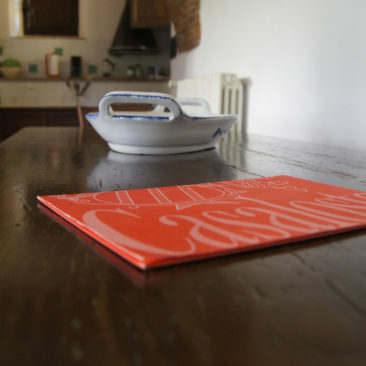 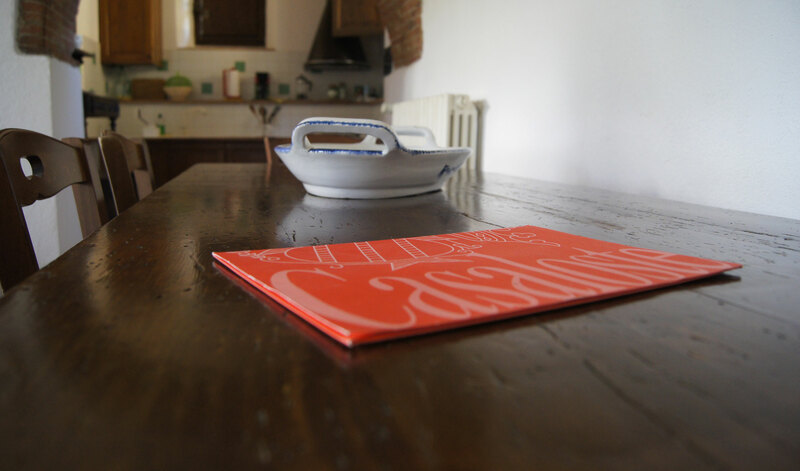 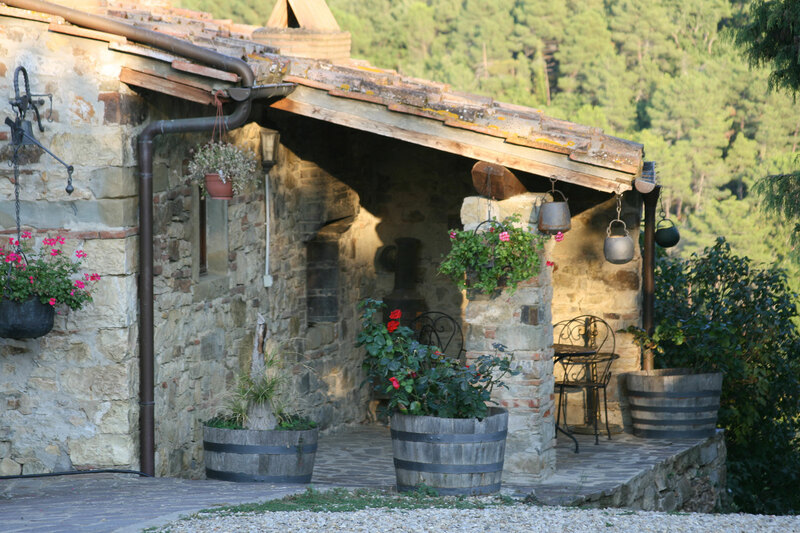 Staying with us here at Casaloste will give you the opportunity to enjoy the real Tuscany: the sunny days and cool afternoons, the serenity of the countryside and the beauty of the landscapes. 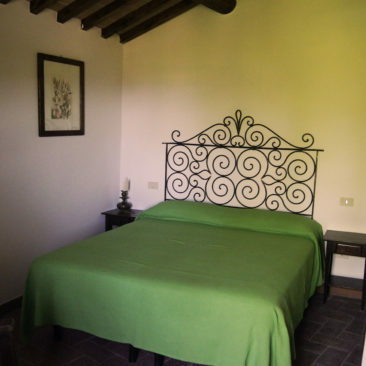 Both of our apartments come fully furnished, with kitchen and facilities, and are nestled in the olive groves. 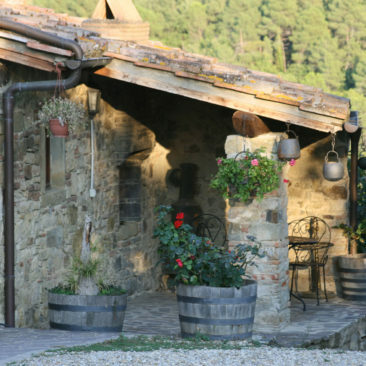 From May until October our guests can enjoy the outdoor spaces, surrounded by olive trees and vineyards. 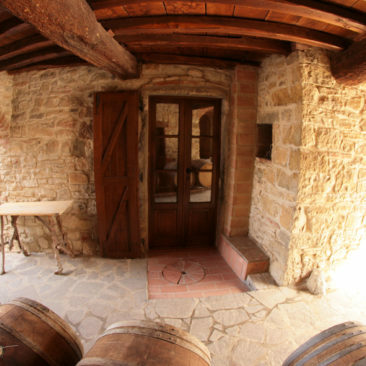 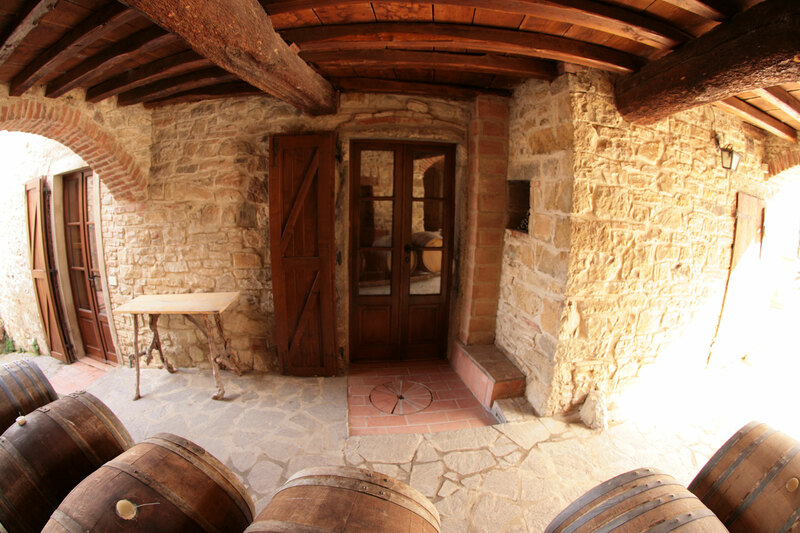 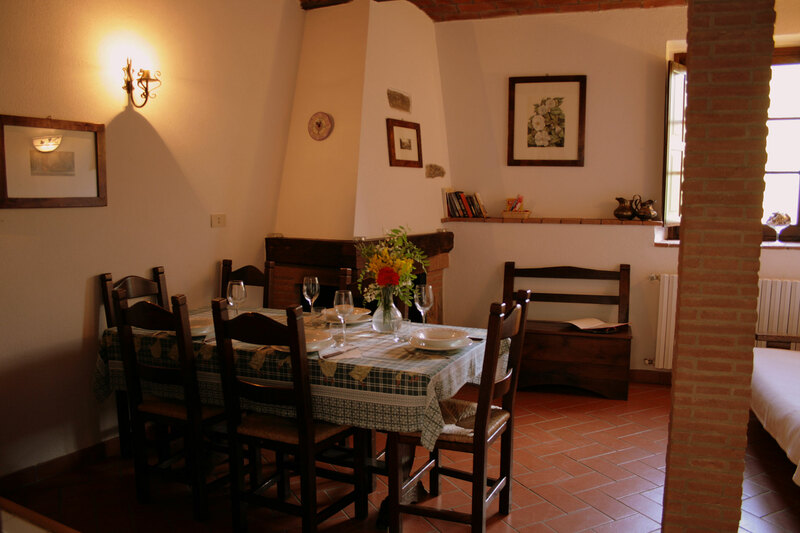 They can also enjoy great food in local restaurants and taverns with a good glass of Chianti Classico Casaloste. 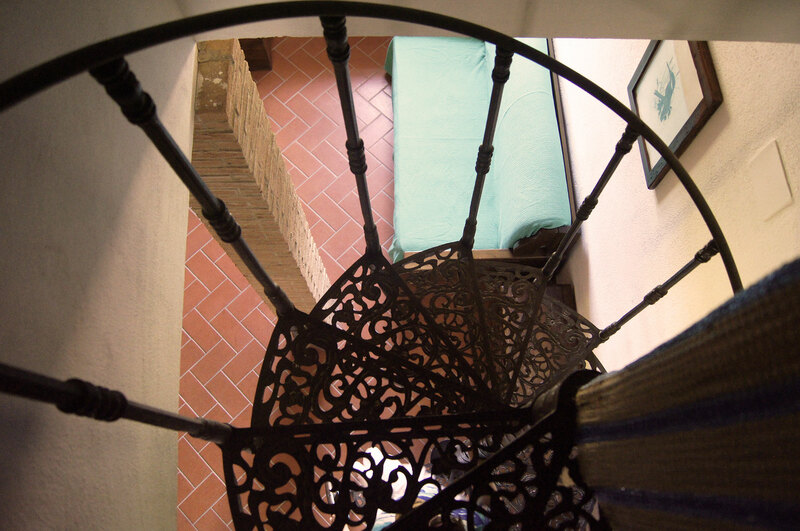 Please, contact us for apartment information and availabiltiy. 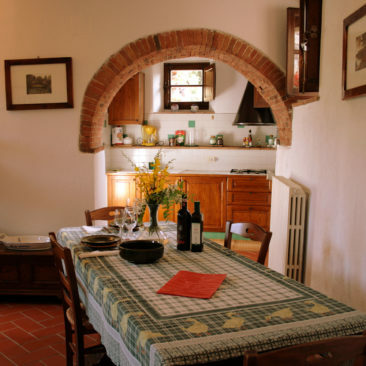 Decorated in a rustic / Tuscan style, it has a large living room with double bed, a large solid wood table, an equipped kitchenette and a bathroom with shower. 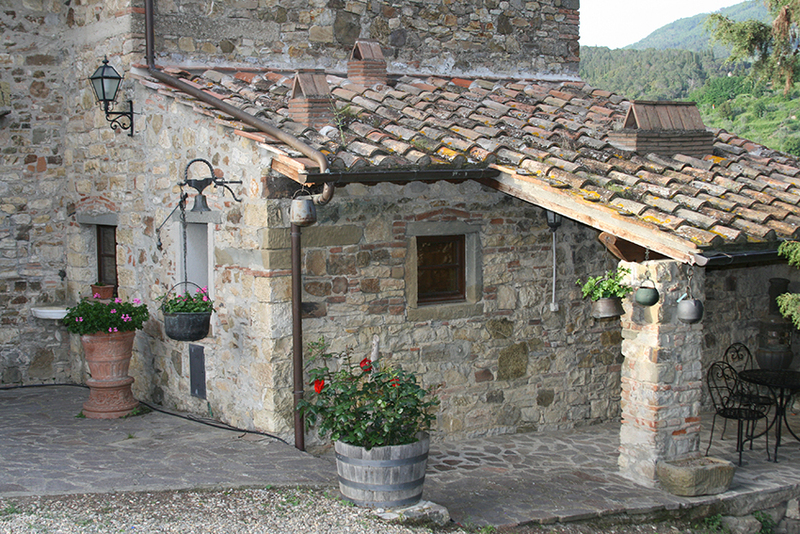 Right outside the apartment a little veranda completes this precious corner of Tuscany. 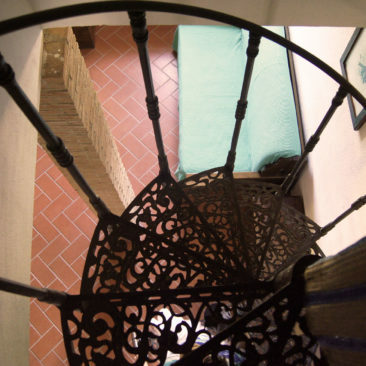 On the ground floor there is the living room with fireplace and kitchenette; on the upper level (reached by a typical spiral staircase) there are the bedrooms and a bathroom with shower. 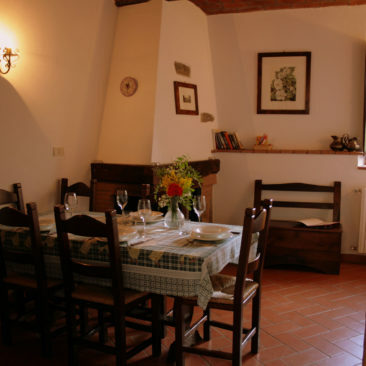 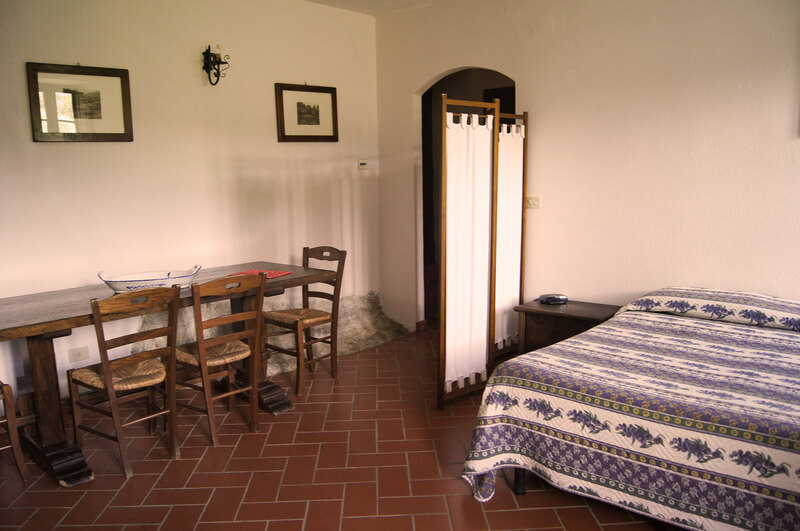 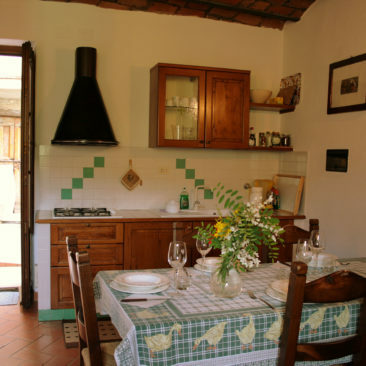 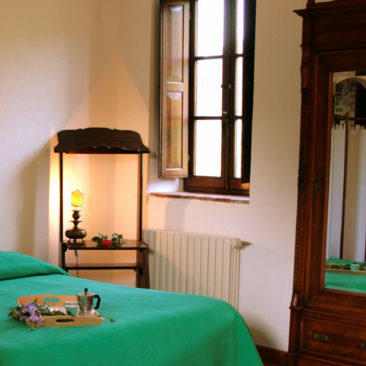 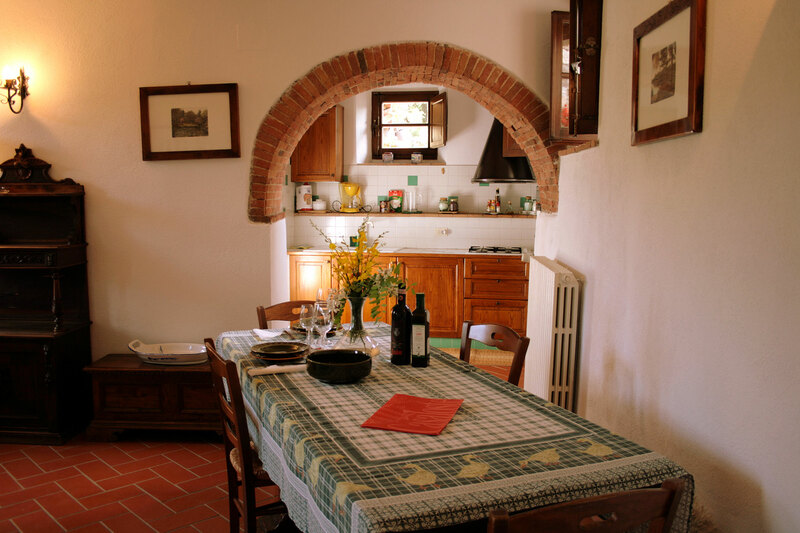 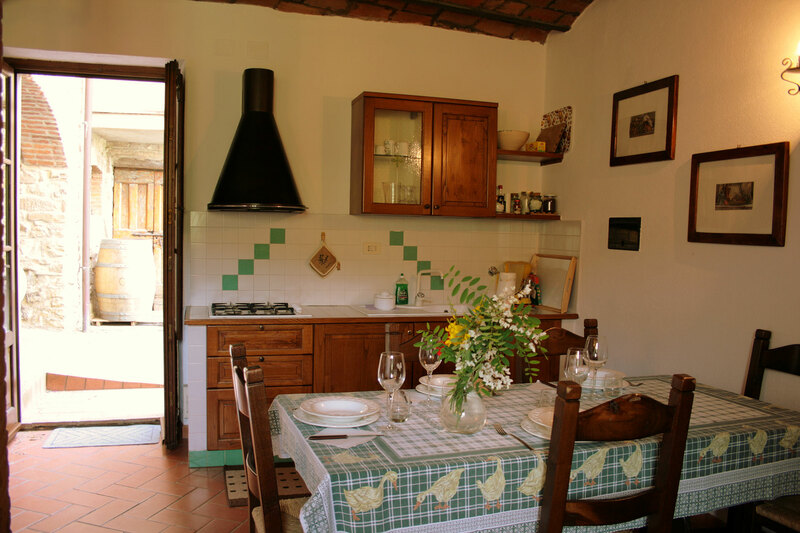 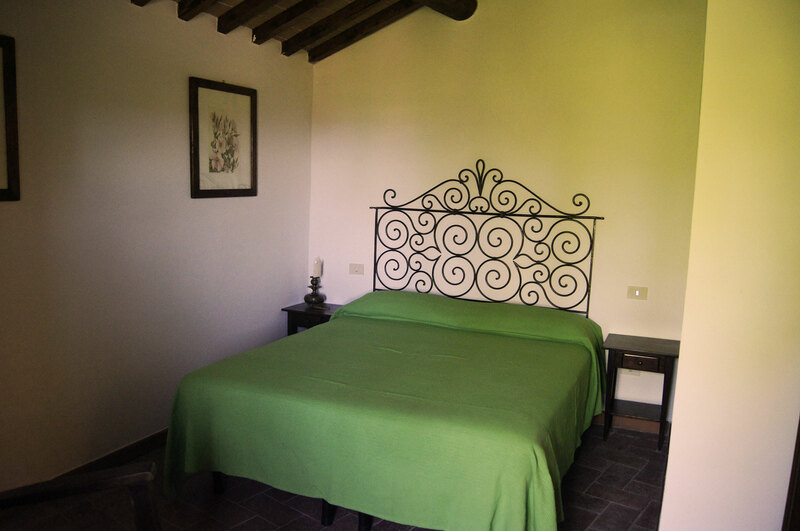 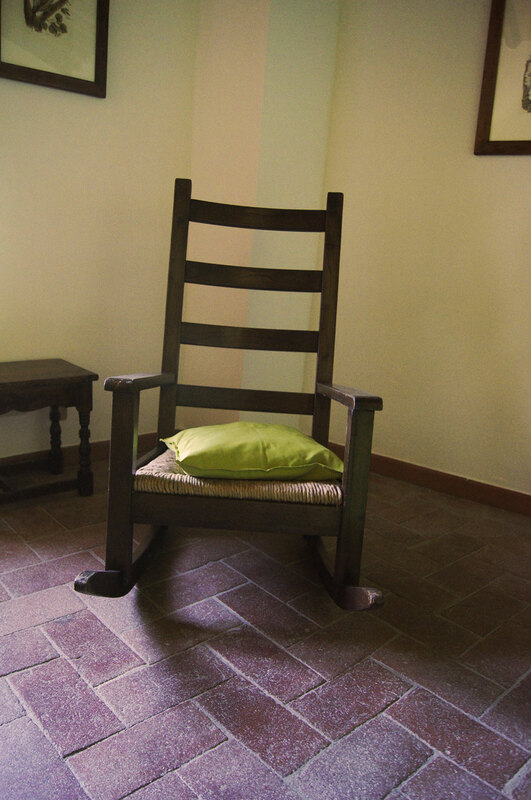 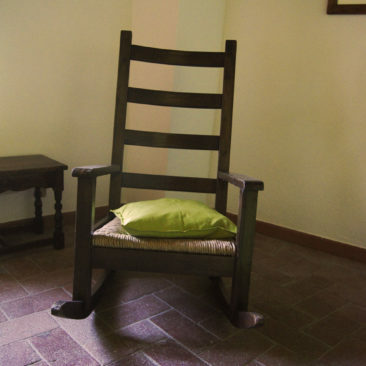 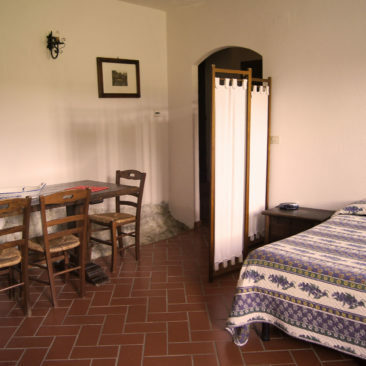 All is furnished in a typical Tuscan style.